Traffic Shaping controls the volume of traffic over a computer network in order to optimize the performance of your browser. cFosSpeed is a utility to accelerate the download and upload of online video and audio files. 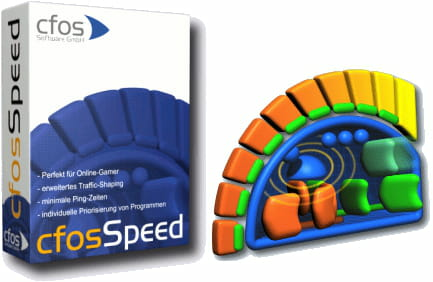 System management: cFosSpeed is offering to manage Internet connection on your computer, and this, even if you are downloading or uploading a document. The application enables to manage the priorities of each and every Internet connection. Fast navigation: it automatically integrates http and that way, accelerates the easy browsing of a page. This statement is also valid for many interactive applications such as SSL, SSH, Telnet, IRC and many more. The main goal of the application is delivering the maximum possible speed while keeping the ping to minimal values. Compatibility: all Internet connection is compatible with cFosSpeed. So, whether you have a DSL, cable or mobile broadband modem, WiFi or LAN, then this program will manage them all. Online games: traffic shaping provides a high transfer rate. cFosSpeed gathers on a given list all the most popular games to prioritize. So then, the application improves a lot your Ping for online games. You'll have to pay for a license after 30 days of use. Latest update on November 17, 2016 at 03:43 AM.